Pick Any One Kanjeevaram Silk Sar..VSKanjeevaram Art Silk Saree - Pick.. Pick Any One Kanjeevaram Silk Sar.. VS Kanjeevaram Art Silk Saree - Pick.. Pick Any One Kanjeevaram Silk Sar..VSPick Any One Kanjeevaram Silk Sar.. Pick Any One Kanjeevaram Silk Sar.. VS Pick Any One Kanjeevaram Silk Sar.. Pick Any One Kanjeevaram Silk Sar..VSPack of 4 Designer Sarees by Zuri.. Pick Any One Kanjeevaram Silk Sar.. VS Pack of 4 Designer Sarees by Zuri.. Pick Any One Kanjeevaram Silk Sar..VSPick Any One Assorted Kanjeevaram.. 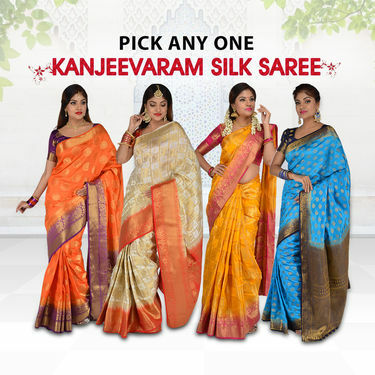 Pick Any One Kanjeevaram Silk Sar.. VS Pick Any One Assorted Kanjeevaram.. Pick Any One Kanjeevaram Silk Sar..VSPick Any One Georgette Saree with.. Pick Any One Kanjeevaram Silk Sar.. VS Pick Any One Georgette Saree with.. 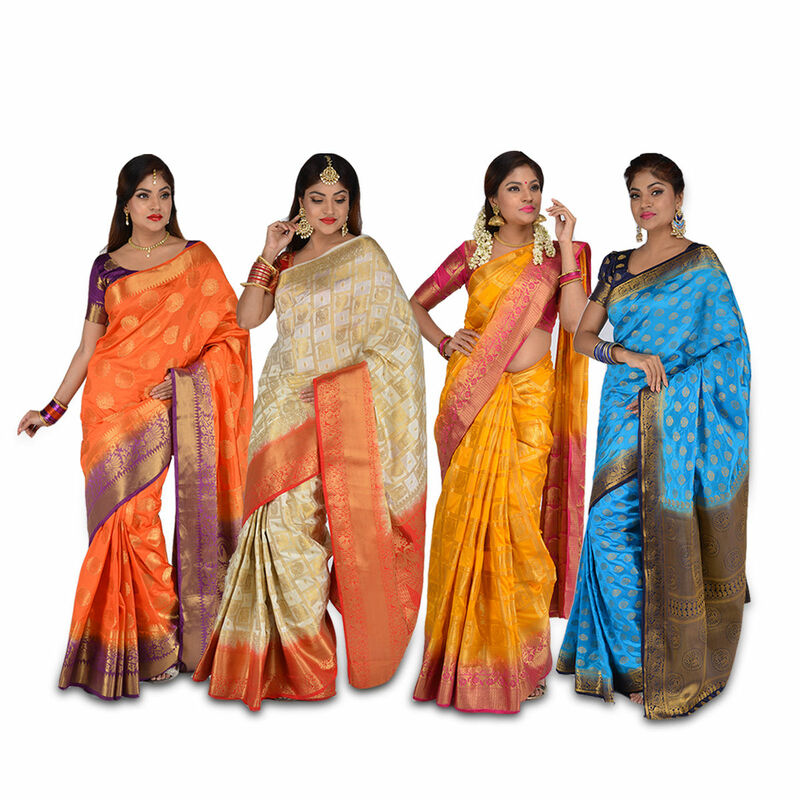 Pick Any One Kanjeevaram Silk Sar..VSPack of 9 Assorted Printed George.. Pick Any One Kanjeevaram Silk Sar.. VS Pack of 9 Assorted Printed George.. Pick Any One Kanjeevaram Silk Sar..VSPack of 7 Gold Border Sarees by P.. Pick Any One Kanjeevaram Silk Sar.. VS Pack of 7 Gold Border Sarees by P..